As we have covered extensively over the last six months or so, Brian Cashman is doing everything in his power to turn the on-field squad over to the team’s vaunted farm system. That being said, it’s important to remember that every youth movement needs some reliable veterans to help ease the growing pains and use accumulated experience to provide clubhouse leadership to the young up-and-comers. The Core Four, Featuring Bernie Williams™ Yankees didn’t just have Andy Pettitte, Derek Jeter, Jorge Posada and Mariano Rivera on the roster. The organization hand-picked several veterans that were also key to the franchise’s successful run. Where would the Yankees have been if Gene Michael hadn’t traded Roberto Kelly to the Reds for Paul O’Neill prior to the 1993 season? What if Bob Watson hadn’t traded Russ Davis and Sterling Hitchcock to the Mariners for Tino Martinez, Jeff Nelson and–to a lesser extent–Jim Mecir prior to 1996? What if they hadn’t added David Cone at the 1996 trade deadline? The point is, you need veterans. Unfortunately, there aren’t that many affordable ones on this year’s market, especially for a club like the Yankees, who really just need to keep a couple of roster spots warm until all of their kids are ready. Enter Mike Napoli. Could he be the answer to the DH question for 2017 and the immediate beyond? I think so. First of all, we need to establish that the Yankees are looking to add offensive pop at DH–the spot is open now that they’ve traded away Brian McCann–and veteran leadership, but allegedly aren’t looking to commit to too many years or dollars for any given player. There simply aren’t that many guys out there that fit that bill. The short list includes former Yankee Carlos Beltran, Matt Holliday, Napoli and maybe Jose Bautista. After that, the talent level dips considerably. So why Napoli? Well, why not? Let’s take a look at what he’s done throughout his career. The 35-year-old was originally drafted by the Angels in 2000, and made his debut as a catcher for the Halos in 2006. The Angels traded him to the Blue Jays for Vernon Wells prior to the 2011 season, and the Jays immediately dealt him to the Rangers for Frank Francisco. When he hit free agency after the 2012 season, Napoli signed with the Red Sox, where he decimated Yankees pitching for two very long seasons and won the 2013 World Series. The Sox traded him back to the Rangers after 2015, and he signed with the Indians for the 2016 season. Now he’s a free agent. Like Liam Neeson in Taken, Napoli has a very particular set of skills. He mashes dingers all day long. The Hollywood, Florida native has topped the 20 homer mark seven times in his career. He has twice topped 30 homers, including his career high of 34 that came just last season with the Indians. That was good for a very impressive .226 ISO. That being said, Napoli isn’t strictly a one-dimensional player. While he hit just .239 last year, and will never be in danger of winning a batting title, he’s a .252 career hitter. In my opinion, you can hit .250 if you’re also clobbering 20-30 home runs–especially if you draw 78 walks, like Napoli did in 2016. There was a time when the Yankees lustily coveted guys who could work counts, get on base and mash taters. I’d like them to get back to that philosophy. But wait, there’s more! 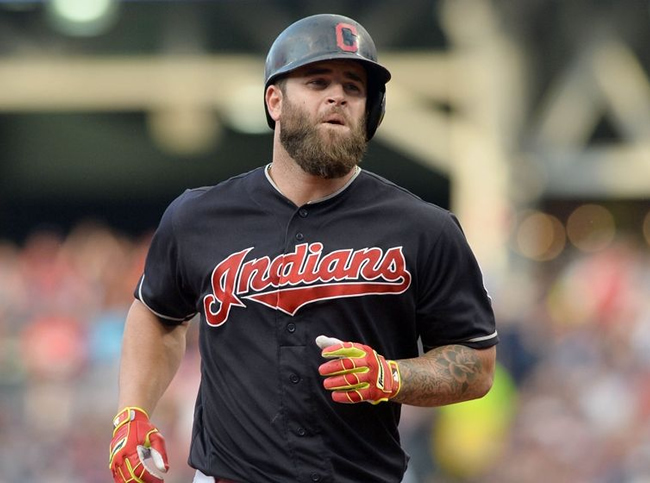 Unlike some of the other veteran free agents on the market, Napoli can also play the field, as he played basically two-thirds of his games at first base for the Indians last year. With the Yankees ready to hand the 1B reigns over to the largely unproven Greg Bird–the thrilling finish to his 2015 season not withstanding–it would behoove them to have someone else on the roster who can step in if Bird struggles, or suffers a setback from the shoulder injury that cost him the entire 2016 season. I know Tyler Austin can also play first, but he’s also unproven, and anyway I like him as a Jack of all trades type outfielder, corner infielder, dh type guy. In a real pinch, I’m sure Napoli could also act as an emergency catcher, although he hasn’t caught a game since 2012. Not all of Napoli’s value comes from being on the field, though. He’s been a key cog to some very successful teams, like the aforementioned 2013 Red Sox. Overall, he’s been to three World Series–lost in 2012 with the Rangers and last season with the Indians–and he’s played in 66 post season games. That kind of experience can be invaluable to a team full of young and inexperienced players. A youth movement is, by definition, young and inexperienced, and I think Napoli can help guide younger guys like Gary Sanchez, Greg Bird, Tyler Austin, Aaron Judge and maybe even Clint Frazier, as well as youngish veterans with little playoff experience, like Didi Gregorius and Starlin Castro. I would, of course, be remiss if I didn’t talk about Napoli’s negatives. Yes, he can mash, but he can also swing and miss with the best of them. He has a career strikeout percentage is 26.9%, which led to his career high 194 Ks last season. His lack of contact-making ability is a huge part of why his batting average stays on the lower side of the spectrum. Again. There aren’t going to be many batting titles in Napoli’s future, and he’ll cool a lot of pitchers off with the wind his swings and misses create. That’s something the Yankees need to figure out if they’re OK with. Personally, everyone gets out. I don’t care whose glove the ball ends up in when outs get recorded. Napoli is also on the wrong side of 35, which can be a tricky age for athletes. That being said, it’s also what’s going to limit him two a one or two-year deal, rather than the four, five or six year deals guys like Edwin Encarnacion might be looking for. Remember, the Yankees just need some guys to connect the dots to the rest of the NWO members that will soon arrive in the Bronx. Also, he’s 35 and not 39 or 40. 35 is relatively not terrible. Overall, I think Napoli would be a great addition to this team. He has immense power from the right side of the plate–something the Yankees have traditionally lacked because of their focus on left-handed power–would fill a great need. His veteran leadership and history of being on winning teams is also valuable to a young team like New York. Finally, and this is something that is undervalued by a lot of “experts,” he seems like a likable guy who is very well respected around the league, and always plays with great passion and dedication. Also, if he comes to the Yankees, he’ll have to shave that beard… everybody wins! Here’s hoping the Yankees can nab Napoli, hopefully on a two-year deal.